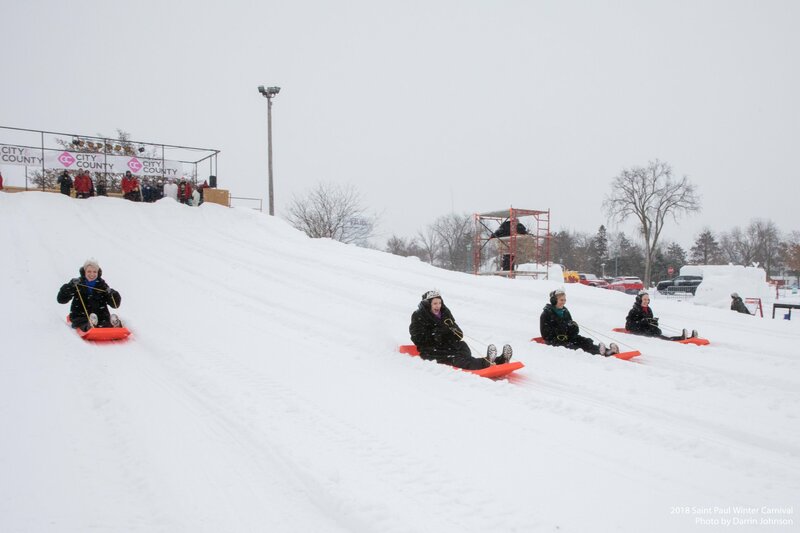 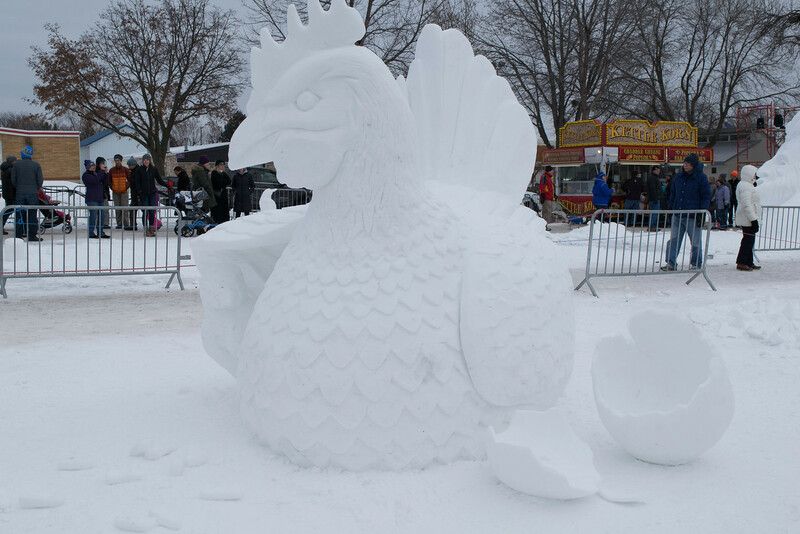 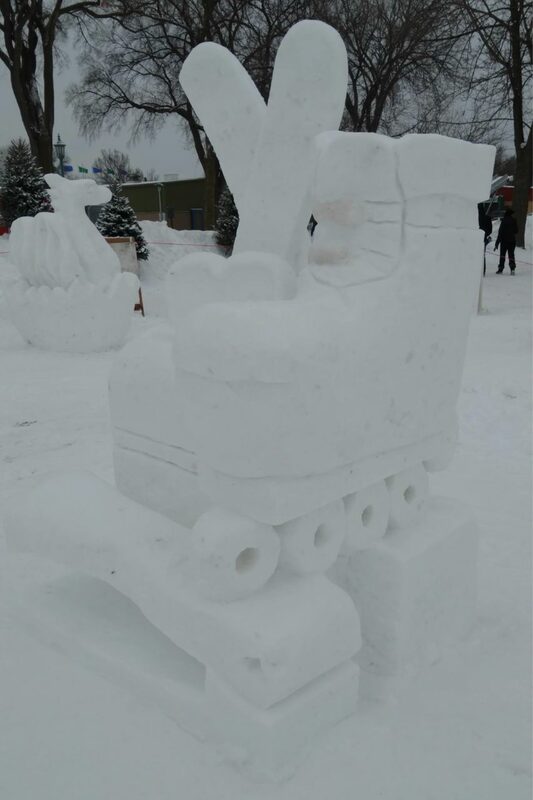 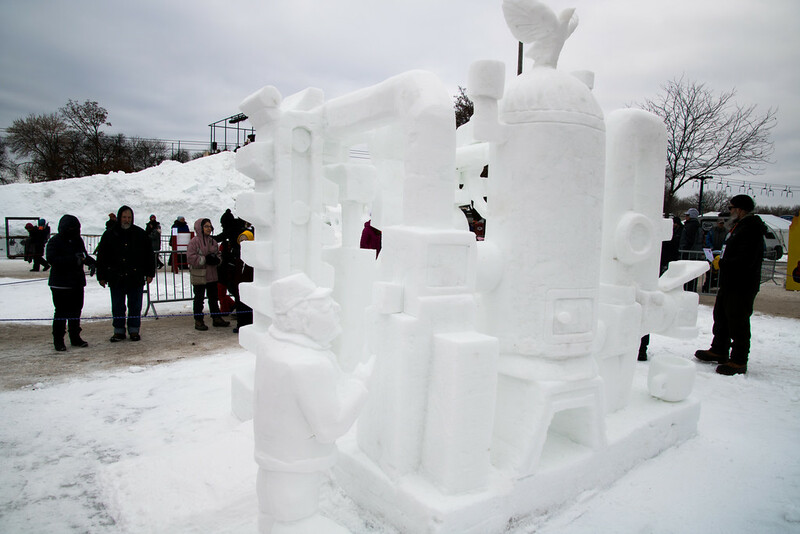 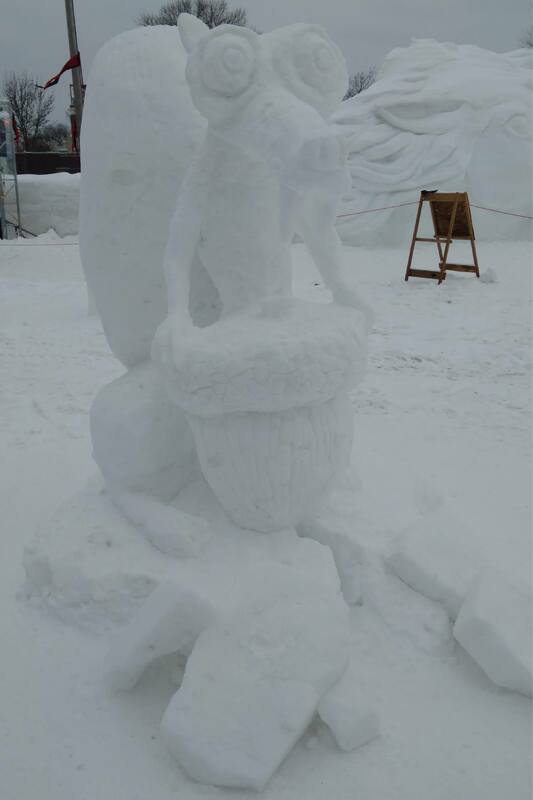 During the Saint Paul Winter Carnival, the Minnesota State Fairgrounds hosted the Saint Paul Vulcan Krewe for continuous family-friendly activities and fun, including the fan-favorite snow sculptures! 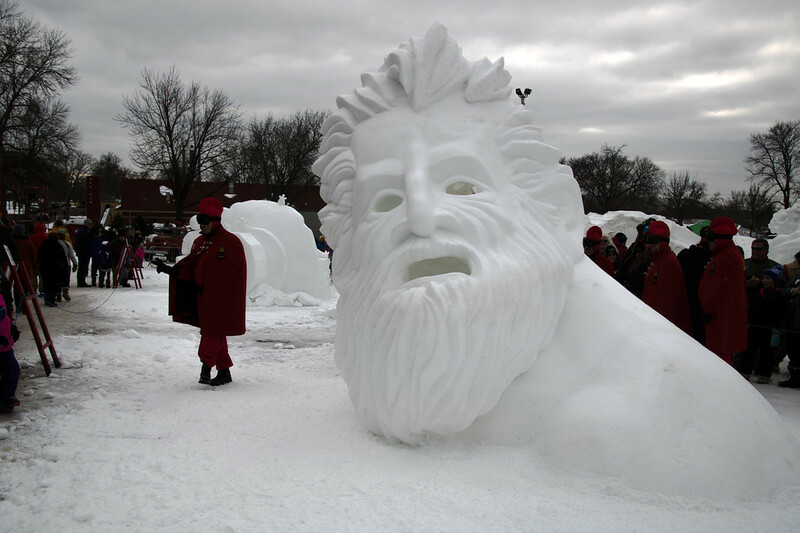 This year’s sculptors crafted their monumental designs over the first two weekends of Carnival for display throughout the festivities. 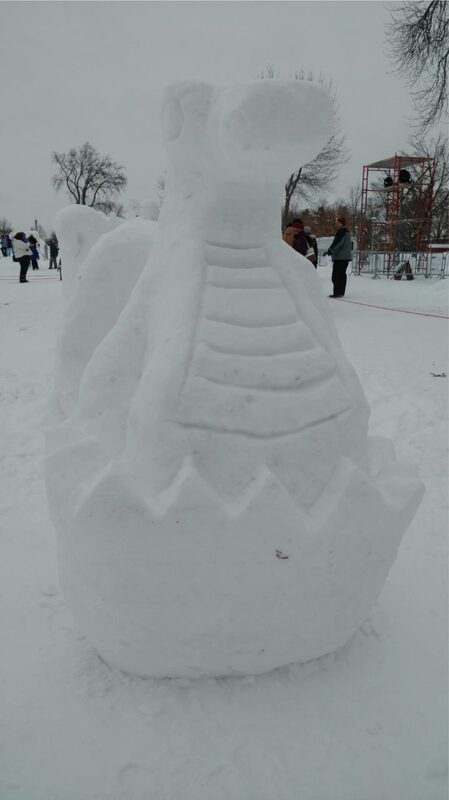 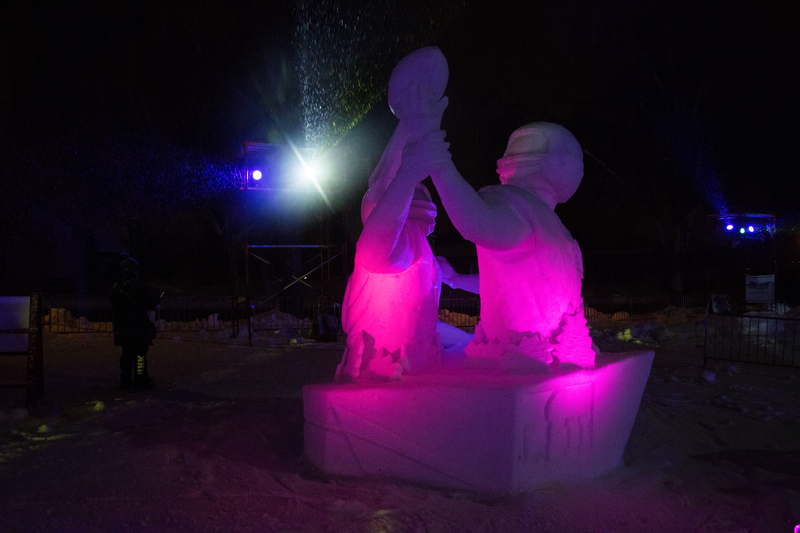 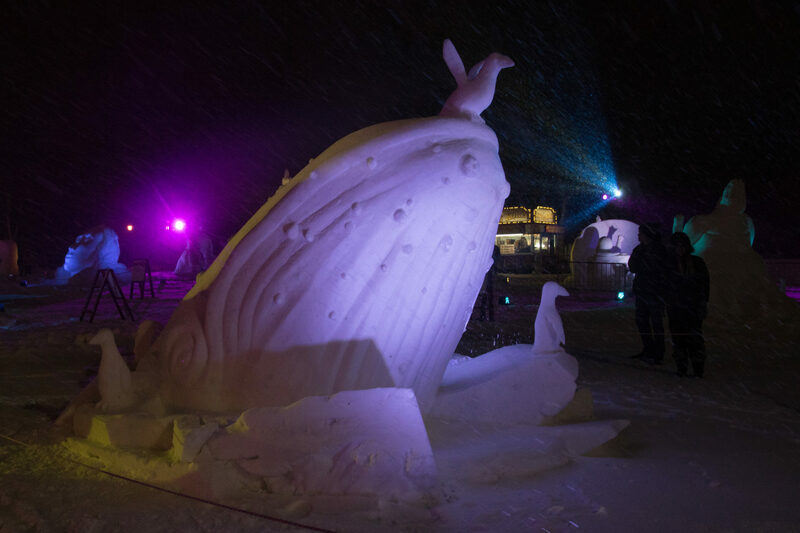 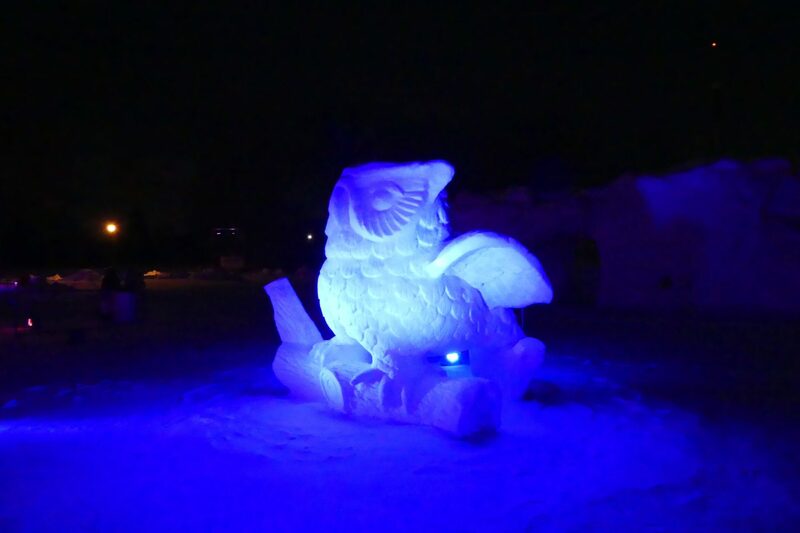 The competition categories included: the Exhibition Sculpture, Minnesota State Snow Sculpting Competition and the Amateur Snow Sculpting Competition. 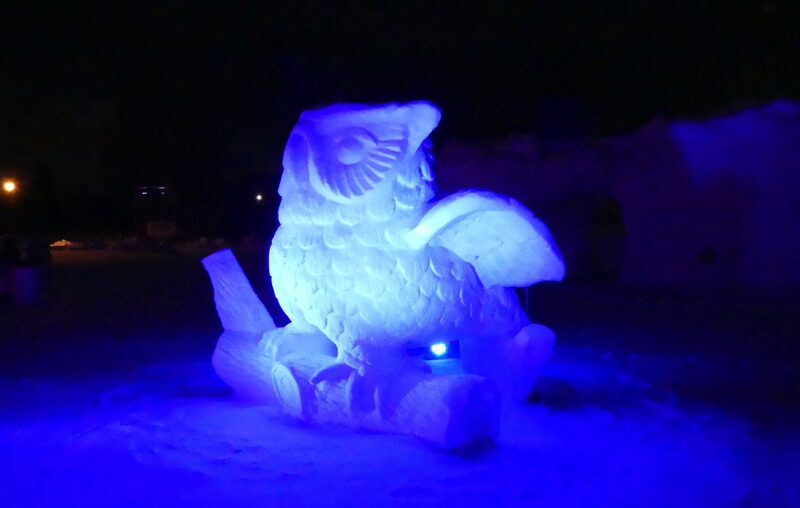 The Exhibition Sculpture consisted of a team of professional snow artists who, in the week leading up to the opening of the Vulcan Snow Park, created an enormous and spectacular snow sculpture for the focal point of the grounds. The Minnesota State Snow Sculpting Competition and the Amateur Snow Sculpting contestants created smaller snow structures during a timed competition. 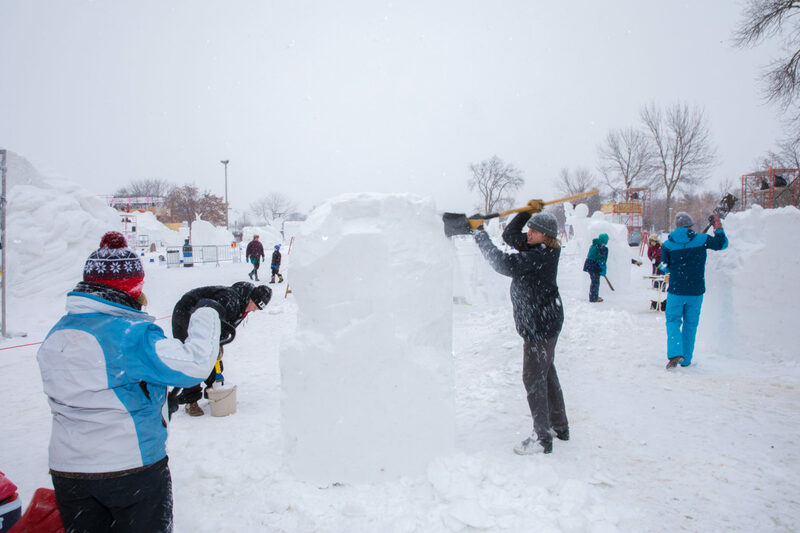 The Minnesota State Snow Sculpting Competition consisted of three person teams, who had most of opening weekend to create a beautiful snow sculptures out of an 8’ x 8’ x 8’ block of compacted snow. 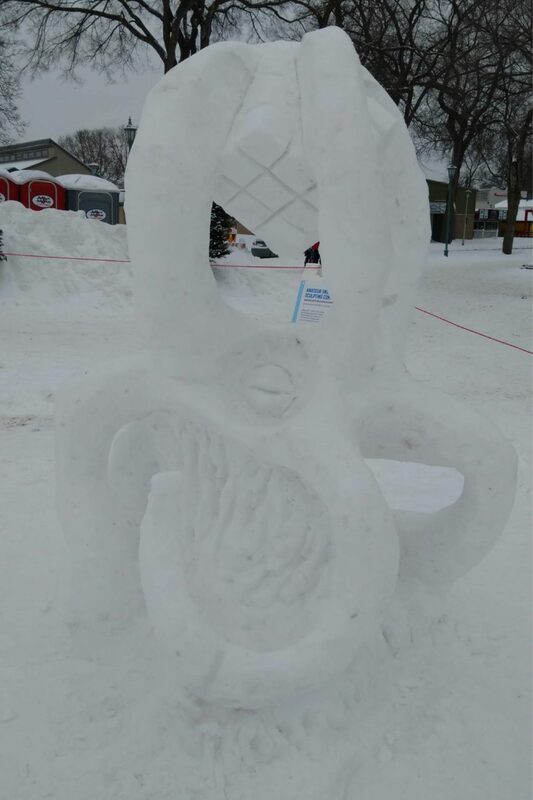 Dozens of additional designs were on display for judging and photo opportunities. Along with these snow sculptures, the Vulcan Snow Park also included snow sculptures created by students from the Metro Deaf School. 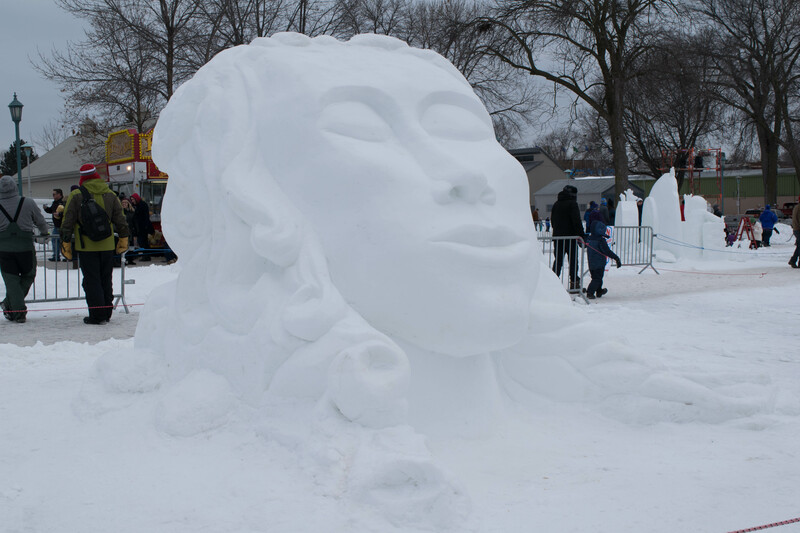 There were plenty of magnificent snow sculptures to view and fun activities to partake in during the Saint Paul Winter Carnival at the Vulcan Snow Park! 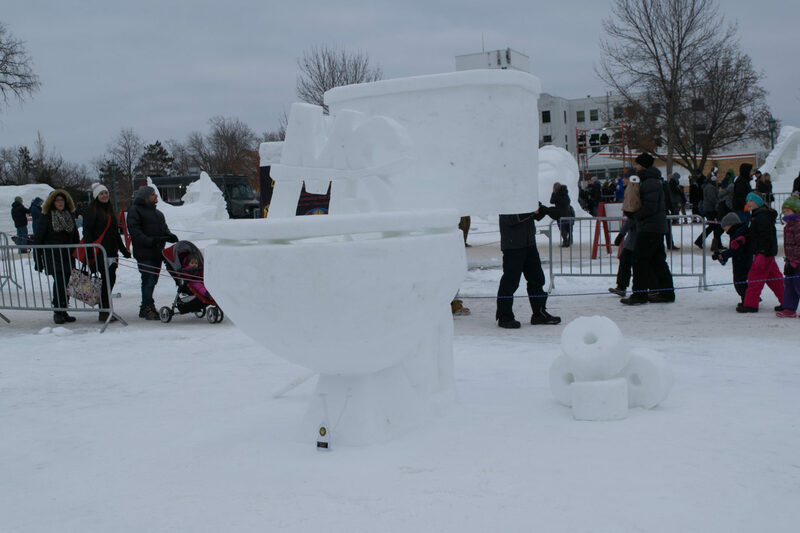 Don’t miss this fun feature next year!